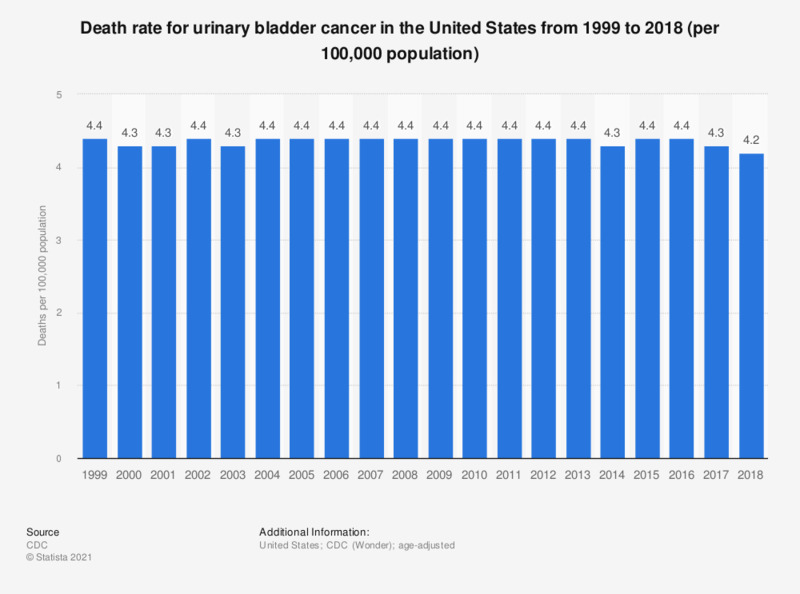 This statistic shows the death rate of cancer of the urinary bladder per 100,000 age-adjusted population in the United States from 1999 to 2015. The death rate of cancer in urinary bladder remained constant at 4.4 or 4.3 during all the years from 1999 to 2015. Release date represents the date figures were released.